Fitness is just like any other field, in order to succeed you need to know what you want and then from that point know or plan how you are going to achieve those goals you set. You see most successful people are not lucky they have achieved success because they plan ahead and take all necessary steps to ensure that their goals are met. 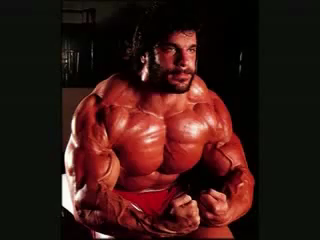 What do you think top bodybuilders do in between Olympia’s? What do you think aspiring fitness models do so that they can one day be as successful as Greg Plitt? What is the first step of goal setting towards acquiring the physique of your dreams? The first step is to wake up and realise that you cannot just wish that you had a great body. You have to wake up and be prepared to work hard to achieve what you want. You have to come up with an action plan, so that you have some sort of strategy as to how you are going to tackle these goals. You have to set achievable goals for yourself, not silly unrealistic goals like you are going to have a six pack in 10 days when you have a beer belly. You have to write down your goals, writing down your goals makes it real; it makes sure that you keep yourself accountable. You could brainstorm what kind of workout you are doing, what kind of food you will be eating, how many times you will be working out. Writing down your goals is like taking progress pictures, it gives you a clear picture of what you have to do, it also allows you to come back in future to analyse what you did right and what you did wrong because in the fitness world you are always learning and pick up new things and you make adjustments in accordance to your lifestyle. You could also use that goal setting book to write down goals and when you achieve them you could strike through those goals and write new ones and like progress pictures these achieved goals serve as inspiration that shows just how far you have come. This helps you push on further and harder. There is no use in having goals that have an infinite time limit that is like having no goals at all. If you want to be the guy with the heaviest bench press, you will not just go try lifting the record heaviest weight ever bench pressed. You will start off at the beginning maybe only managing to bench press 135lbs (60kg), but you will set little achievable goals for yourself so that ultimately you will be lifting that record bench press of over 440lbs (200kg) one day. You will say to yourself this week I am going to lift 135lbs, then each week I will try and increase my lift by 5lbs-10lbs, train hard, eat well, get enough rest and record how much you manage to do with each lift. The next step will be to achieve equal to or more than you did the last time, to make sure that you are making progress (that is why it is important to write your goals and achievements down so you have a frame of reference for each lift you do). Have confidence in yourself and your abilities. You have to believe that you can achieve your goals, because if you don’t believe in yourself, if you doubt yourself you will not fully commit, you will procrastinate. Anything is possible if you really want it, you have to image yourself being your ripped self even before you get to that point, you have to believe that if others can do it, so can you. You may be overweight and have been that way your whole life but the minute you decide to stop dreaming and start working you have to believe you are strong enough to resist the temptation of having junk food, the temptation to have midnight snacks, you have to be strong enough to eat smaller portion even when you want to have more. Everyone can succeed if they win the battle in their heads and that victory is translated in action by the body. Start believing in...YOU!